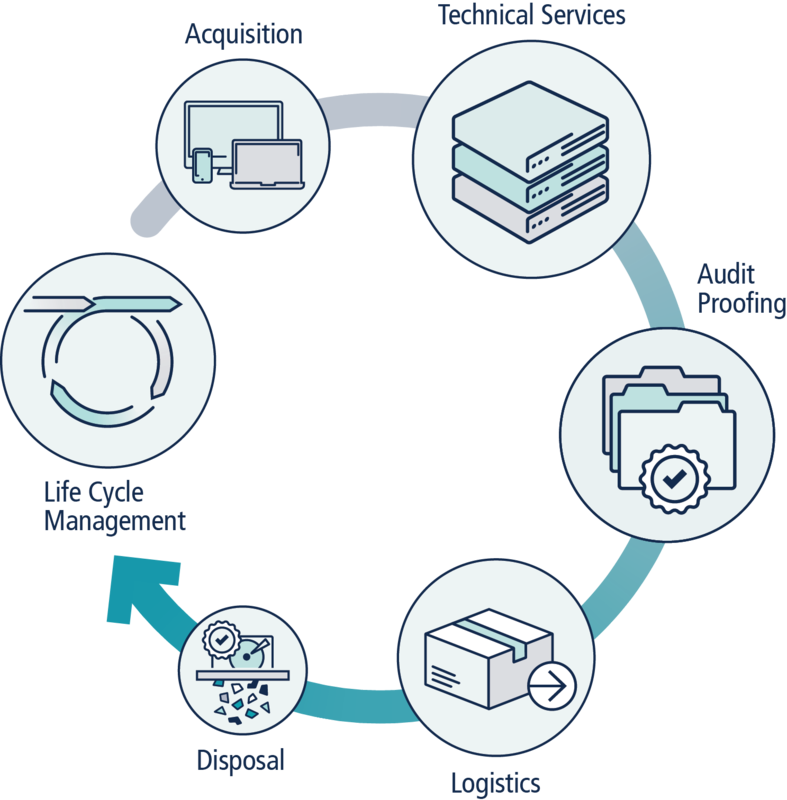 Our innovative service, Q-wrxSM provides an asset and lifecycle management solution that guarantees user ready IT. Q-wrxSM minimizes risk, optimizes quality, and increases savings by providing an IT foundation for our customers. Q-wrxSM meets the needs of our customers across industries, including medical device manufacturing and U.S. federal and defense contracting, where stringent IT compliance standards must be met. Watch the video to learn more about Q-wrxSM. We provide 100% accurate configuration, and build, test, and deploy an image of your software that is fully compliant with your specification. This work is performed cost-efficiently and in a timely manner. Our internal IT team work closely with our customers to design, test, and validate customized Q-wrxSM solutions. Once the process has been designed, tested, and approved, Dynamic takes over full responsibility for flawless delivery. Dynamic provides quick and easy access to documents. We capture, manage, label and store detailed IT asset information required for corporate and regulator audits. The documentation ranges from Certificates of Conformance to work instructions to physical asset tagging. We maintain records as long as customers need them or regulators require them. Our services provide a shield against any liability from non-compliance mistakes. With Q-wrxSM, Dynamic closely tracks IT vendors’ inventory against product roadmaps. This enables us to provide proactive and future-oriented lifecycle management. Let’s consider the example of a medical device that depends on the use of particular pieces of integrated IT. When we’re informed that one or another of these parts will no longer be available, we notify the customer of the opportunity for a strategic last-time buy. From our experience, this may even double the lifecycle of the device. And it can eliminate the nightmare of being unable to use the device until next-generation systems are available. These are just a few key pieces of the full Q-wrxSM picture. Want to know more? Please get in touch. Call Adnan Shaben, Dynamic’s Vice President of Sales, at 248-615-6425. Or email Adnan at ashaben@dccit.com. He can help customize our innovative Q-wrxSM solution to meet your specific needs in the digital transformation landscape.